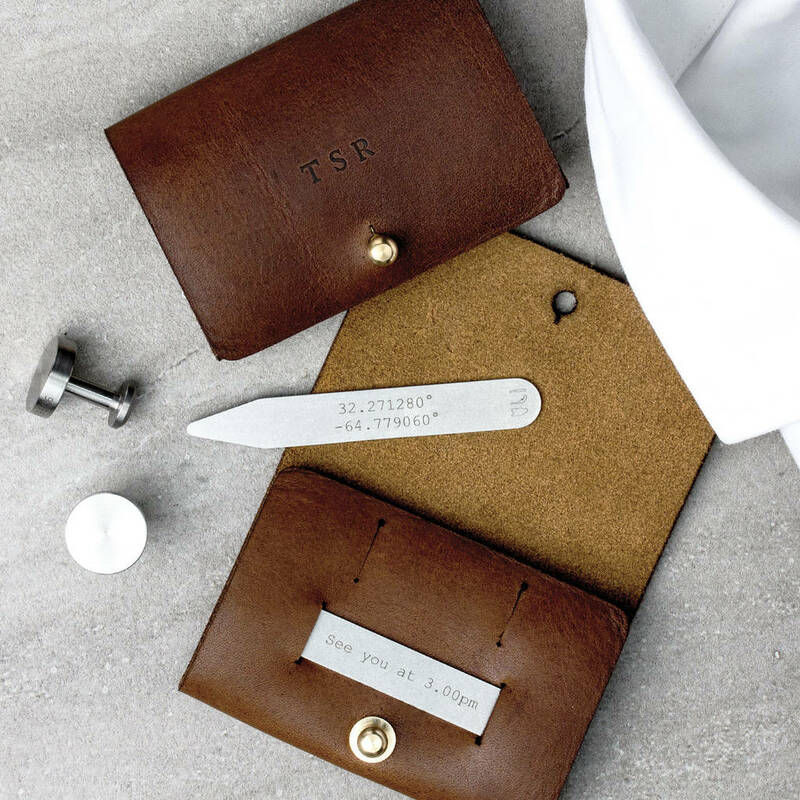 These high-quality stainless steel Collar Stiffeners come in a personalised leather pouch and gift box, perfect for gift giving. A stunning item for Father's Day, birthdays, anniversaries or as a self-purchase item. 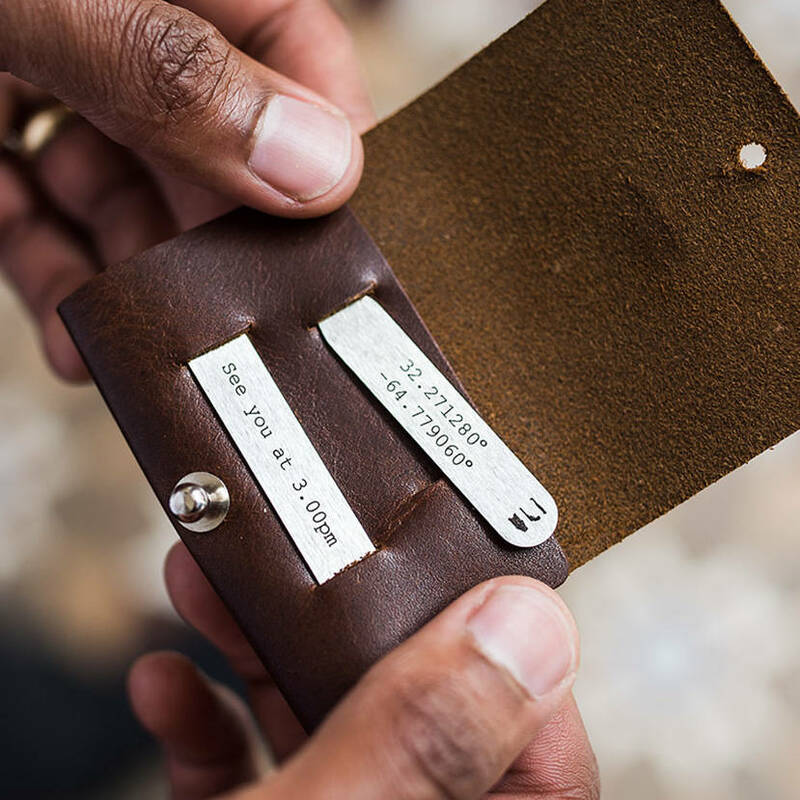 The pouch contains two 6cm collar stiffeners with the option of a personalised message on each. 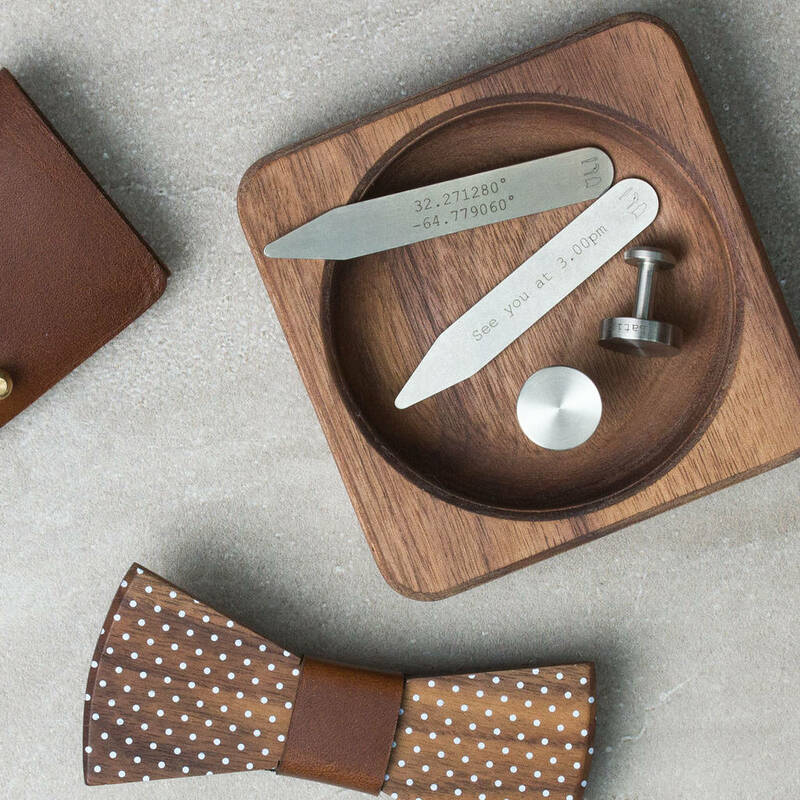 Each pair will be presented in a beautiful hand crafted leather pouch with solid brass fixings, ideal for storage and business travel alike. 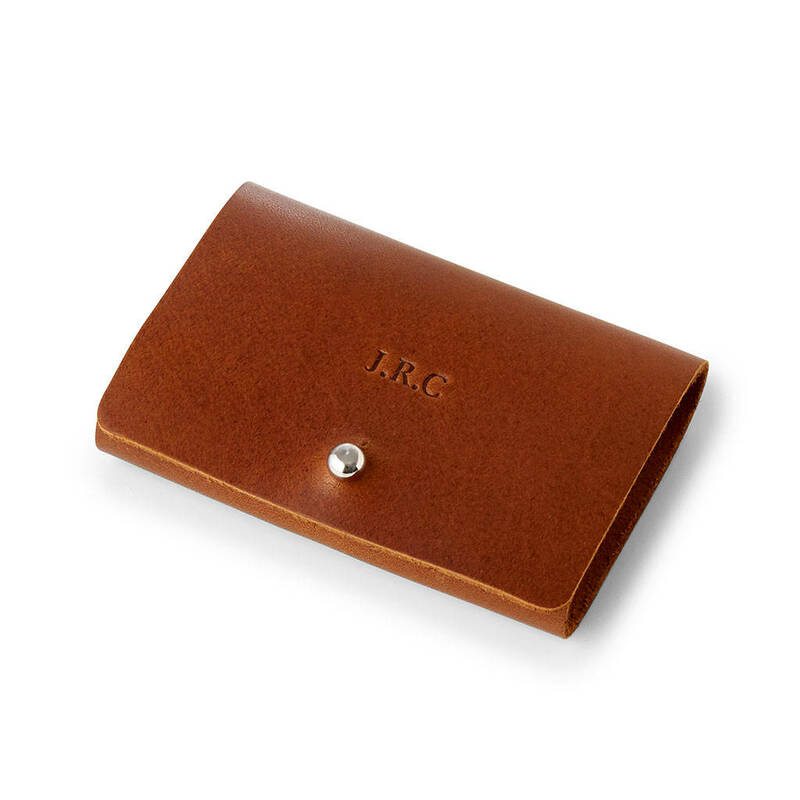 The pouch can also be personalised with traditional debossed initials (up to 8 characters). Each pouch with be branded with with the British made Man Gun Bear logo on the reverse. Presented in a branded gift box, Man Gun Bear offers premium quality for the modern man. Collar stiffeners - Stainless steel. Marine grade stainless 316 to last. Pouch - 100% British leather prepared for us by one of the last remaining UK tanneries. Our leather products have a distinctive rich, brown vintage aesthetic and are soft and supple from very first use. The grain on each hide will vary ensuring all items are totally unique. All products are designed and manufactured in our workshop in The New Forest, UK to minimise our carbon footprint. Our raw materials are ethically sourced. From our research, we've found that a 60mm collar stiffener is the ideal size. This perfectly fits the standard pocket length the majority of shirt manufacturers use, and equally well in a collar that is just that fraction longer. This product is dispatched to you by Man Gun Bear.